A recent installation of a Garador FGS 700 front doors Lancashire. We are changing the front entrance of our property in Chorley, Lancashire so that is has a porch, this is currently being built. We will require a new front door with side lights. Our taste is fairly contemporary and we would like the door to reflect this, we have been looking at composite doors but none are as modern as we would like. As the porch will lead straight into the house the door should be highly insulating as well as secure. Our customer chose the Garador FGS 700 contemporary steel front door. 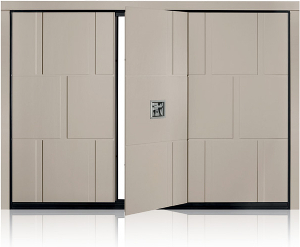 We have found this product to be extremely popular with people wanting to create a modern entrance to their home. 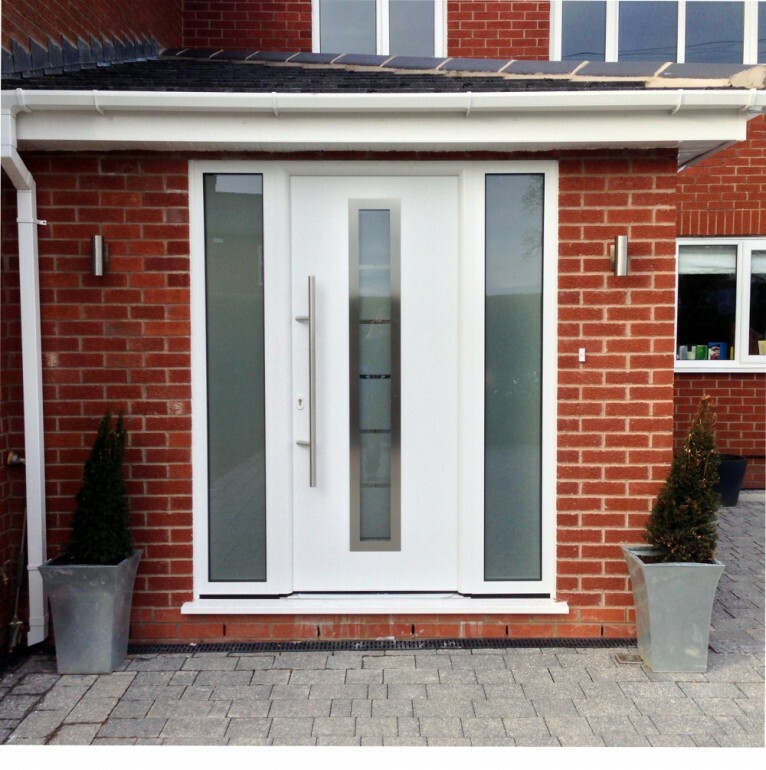 Garador front doors have an aluminium frame with a thermal break to prevent condensation on the inside of the frame. The leaf is a double steel skin with a ridged foam core and the window is triple glazed. The window surround is made from stainless steel as is the long fixed bar handle. Thanks to the multi-point locking system inclusive of hinge pins and hook bolts the door is very secure. FGS 700 has very good insulating properties with a thermal transmittance of U = 1.2 W/m2K. The colour chosen was white to match in with the windows on the house, FGS 700 and all Garador front doors are also available in a range of standard colours as well as foil finish options.